The brilliant Footpad headlines a cracking card at Naas on Saturday as the track stages its first National Hunt meeting of the season. The star attraction of the day is the Willie Mullins-trained Footpad who will look to extend his unbeaten sequence over fences when he takes on four rivals in the Grade 3 Poplar Square Chase. The six-year-old enjoyed a flawless first season over fences which featured a Grade 1 four-timer. 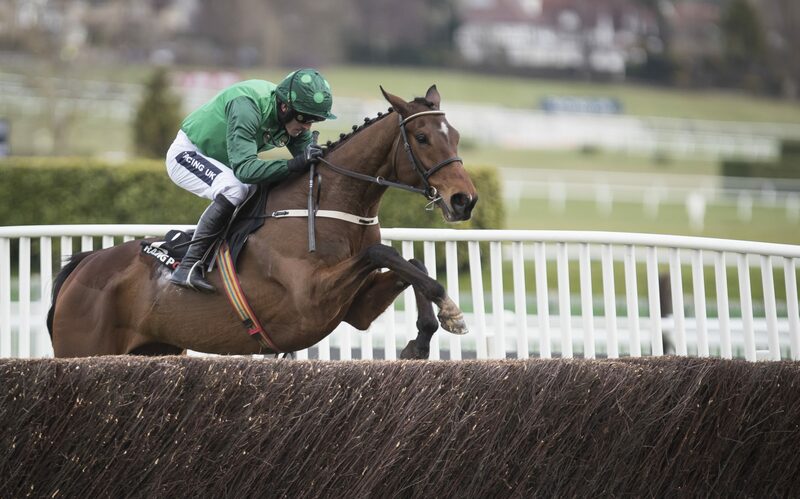 “Footpad seems to be well, he schooled well and he worked very well during the week so we look forward to starting him off at Naas tomorrow,” the champion trainer said on Friday morning. After scoring by 14 lengths in the Arkle Chase at Cheltenham, Footpad signed off with another dominant Grade 1 success at the Punchestown Festival. He will be ridden by Ruby Walsh who was on board when he carried all before him at Cheltenham. “The Popular Square Chase is a nice type of race for Footpad and it’s nice to get him out and back on the track. A second season novice race like this is a lovely starting point,” Mullins added. The pick of Footpad’s rivals is the English raider Saint Calvados. The Harry Whittington inmate bolted up in a Grade 2 at Warwick in February but hasn’t run since finishing fourth to Footpad at Cheltenham. Speaking earlier this week, Alice Whittington, assistant to her husband Harry said; "We all know Saint Calvados is better than what he showed us at Cheltenham last season. He's obviously a horse with a lot of class and as a five-year-old he has the world at his feet. He has done really well over the summer and is ready to go again this season." Saturday’s card also features a terrific edition of the Grade 3 Fishery Lane which has attracted three of the best juvenile hurdlers seen out last season. Gavin Cromwell’s Espoir D’allen runs for the first time since losing his unbeaten record at Leopardstown in February. Prior to that he defeated the subsequent Triumph Hurdle winner Farclas in a Grade 2 at Christmas. Espoir D’allen faces a stiff test against a pair of Mullins-trained Grade 1 winners in Mr Adjudicator and Saldier. Ruby Walsh takes the mount on the last-named who ended last season on a high with a Grade 1 victory over Mr Adjudicator at the Punchestown Festival. Paul Townend rides Mr Adjudicator who defeated Farclas at the Dublin Racing Festival before going on to chase home that rival in the Triumph Hurdle. “Mr Adjudicator and Salider run in the Fishery Lane Hurdle and similarly to Footpad in his race, this is a nice race to start the two of them off in. Both horses seem in good form and hopefully they both run well,” Mullins said of his two Grade 1 winning contenders. The most valuable event of the day is the €50,000 Grade B Sky Sports Racing Launching in 2019 Brown Lad Handicap Hurdle. Gordon Elliott supplies the top weight in Sire Du Berlais whose efforts last term were headed by a fine fourth in the Martin Pipe Conditions Jockeys Handicap Hurdle. Plinth, who chased home Samcro’s conqueror Bedrock at Tipperary last month, is another representative for owner J.P. McManus who supplies five of the 14 runners in his bid to win this race for the fourth time in the last five years. Meanwhile Gavin Cromwell saddles Brex Drago who finished in midfield in the Irish Cesarewitch last time but he comes here chasing a handicap hurdle four-timer which has seen climb 22 pounds in the weights. 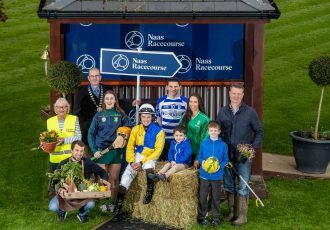 “We are delighted to be involved with such a quality card at Naas and it is always a pleasure to work with our racecourses in Ireland and offer our support to them. 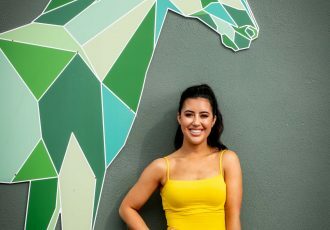 The quality of horses turning up in the big races on Saturday is further evidence of the good racing constantly on offer at racecourses like Naas,” said Shaun Frackleton, Marketing Manager of At The Races.